For the 2nd part of our Stay Dry Month, going along with our giveaway, we are highlighting the Patagonia Middle Fork Packable Waders. We are really excited about this wader because it is unlike any packable wader we have seen before. Read all about it as we talk about what we like and some of the top features below. Wow, how exciting is that? Not to mention that they are only 26 oz.! Can you not wait to try some on and see for yourself? Luckily we have a contest going on that can help with that! Enter and learn more here! We also came across a Q&A from Patagonia all about the waders. Here are some of the question and their answers. 1. Who would use these new waders? What type of angler? These are the lightest, most technically advanced waders we’ve ever made. Their light weight and low bulk make them the ultimate waders for streamlined travel or accessing the backcountry, but they’re also packed with features for everyday wear in anything but the ugliest cold or thorniest, most abrasive surroundings. When we set out to design superpackable waders, we had no idea they’d also become our go-to favorites for the home pool. 2. Why would you purchase these new waders if you already have a pair of Patagonia waders? range of footwear, not just wading boots, so you can pack as light as you want. 3. What makes this new wader so revolutionary? and have all the features anglers need for hard fishing. 4. Why are seamless booties so groundbreaking? 5. Why did Patagonia make these waders? Why was this important to our Fish business or perspective? We are committed to advancing the technology available to anglers, and the Forge gives us a unique ability to innovate waders, technical outerwear and equipment. Our commitment to quality, innovation and performance means we continue to lead the category with the best fly fishing product, bar none. We build equipment that allows anglers to survive and thrive in whatever Mother Nature throws their way—often miles farther down the trail and long after others have hung it up for the day. The Middle Forks are the perfect embodiment of that product philosophy. 6. Do these come in Long and Short, Men’s and Women’s? They are available in Men’s sizing only: M and LM in Short, S-XL in Regular and M-XL in Long. 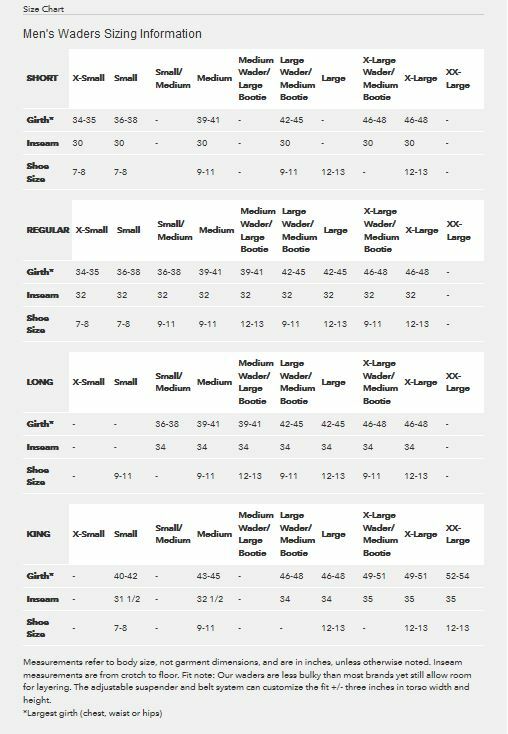 Click here to see the size chart. 7. What’s the closest comparison to competitors’ products? 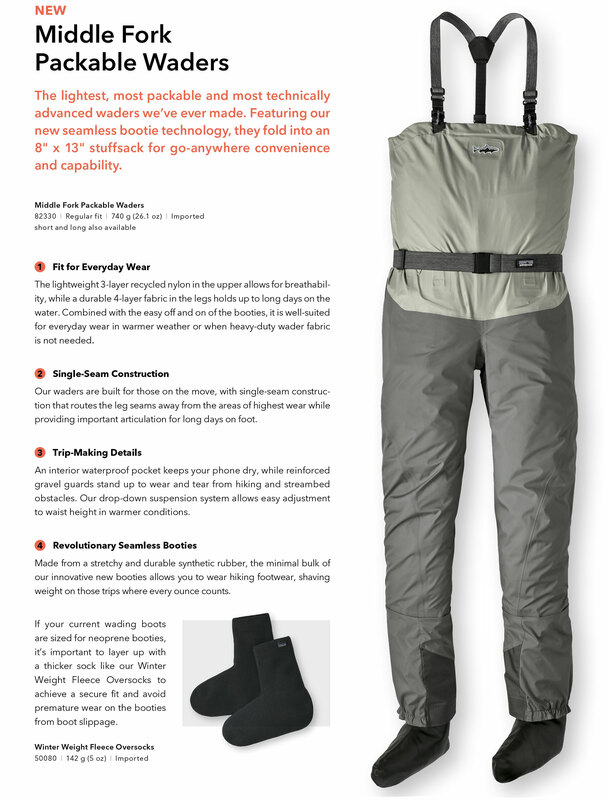 There are other ultralight waders available, and others marketed as packable or travel waders, but none that are as capable as the Middle Forks. 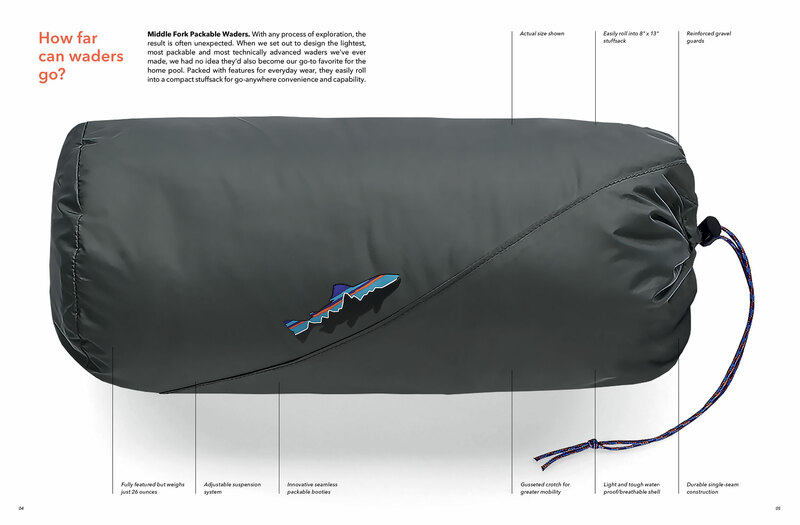 They’re a fully realized and fully featured packable design, meticulously built from the booties up: lightweight and low bulk, durably constructed, and reliably wearable for everyday angling as well as travel. They’re a truly revolutionary product for the fly fishing market. At AvidMax, our mission is to provide fly fishing enthusiasts and all who enjoy the outdoors with unrivaled service, selection, guidance, and value. We conduct our work true to our values, upholding the highest level of integrity and respect for our planet. Wow, you will definitely stay dry and comfortable with these! Check out the rest of their amazing wader and boot lineup here and don’t forget to enter our Stay Dry photo contest for your chance to win!